This variant of Skoda Superb is powered by 1.8 litre of Turbocharged 16V DOHC , transverse in front petrol engine, which is capable of producing 160 BHP of peak power at the rate of 4500 to 6200 rpm along with 250 Nm of maximum torque at the rate of 1500 to 4500 rpm. This engine is further mated with six speed manual transmission, which in turn let the car deliver 13.1 km per litre of impressive mileage. 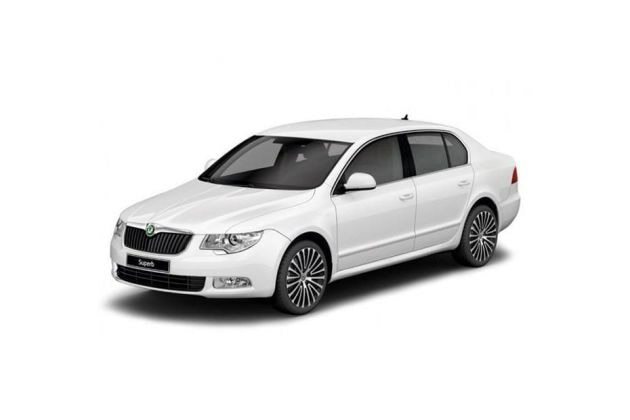 The Skoda Superb Elegance 1.8 TSI MT features 16 inches of alloy wheels that ensure bump-free ride. On the other hand, the car also comes with Electric sunroof with bounce-back system, 6.5inch LCD TFT color display, integrated six-CD changer with 8 speakers, efficient air conditioning system with Dual-zone Climatronic, Nappa leather seat upholstery, steering wheel wrapped in leather and so on. With so many features, Skoda Superb price here goes up a bit as compared to Skoda Superb Ambition.